McDonalds Singapore. Buy One, Get One FREE Beef Prosperity Burger at McDonald's! 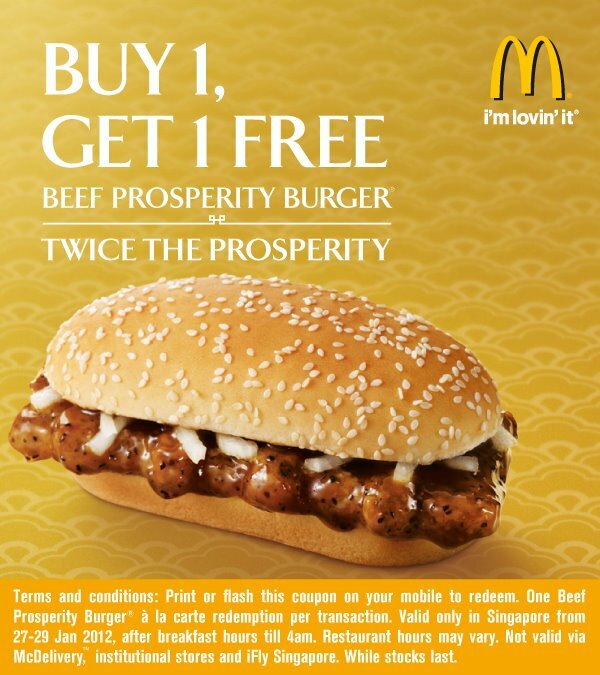 Valid from 27-29 Jan.